Best Quality Medium weight 10oz pants. White pants with Kyokushin Power Karate embroidery. 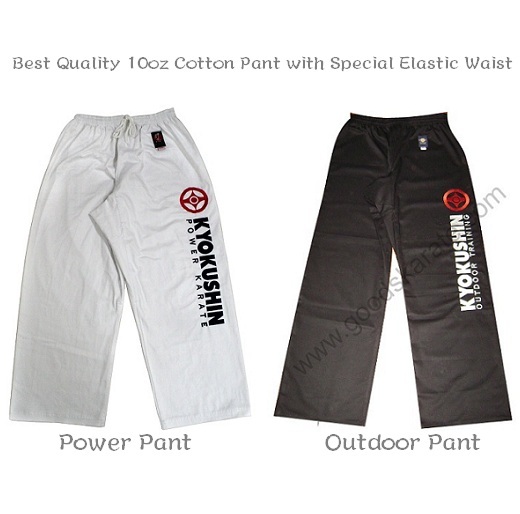 Black Pants with Kyokushin Outdoor Training embroidery. Any Embroidery Also Available on Demand. Minimum Order required 1 pc.